Khalil Mack has become one of the trending names in the National Football League and the reason for that is not far-fetched – his explosive playing style is productive. The Chicago Bears’ linebacker has a disruptive quickness and top-notch ball control abilities. He turned pro in 2014 after being selected by the Oakland Raiders as the fifth overall player of that year. After his four-year stint with the Raiders, Khalil joined the Bears with a record-breaking six-year contract of $141 million. The man is currently the highest-paid defender in NFL’s history. It is known that Khalil Delshon Mack was birthed on the 22nd day of February and in the year 1991; he was born in Fort Pierce, Florida. The player possesses an American nationality and is of black ethnicity. He was raised by his parents, Sandy Mack, Sr. and Yolanda Mack alongside his siblings, LeDarius and Sand Mack Jr. His mother worked as a school teacher while his father is a program manager in Fort Pierce, Florida. Although Khalil preferred basketball and baseball while he was growing up, he later developed a stronger passion for football. The player completed his basic education at the Fort Pierce Westwood High School and equally graduated from the New York University at Buffalo. Since 2014, he has been playing in the National Football League. Khalil has been named to the Pro Bowl four times and the All-Pro team thrice. He won the league’s defensive player of the year award as well as Butkus Award in 2016. Check out other interesting facts about the star player below. Although his father wasn’t a sportsperson, he was able to see that Khalil has great potentials to succeed in the game. He gifted Khalil with his first football at the age of five and the youngster gradually began to develop an interest in the game. He went on to attend Fort Pierce Westwood High School where he began his amateur football career. At the time, he featured as a quarterback for his team but after seeing he had challenges throwing the ball, he was quickly converted to a linebacker. Due to his size, Khalil Mack was nicknamed “Bombshell Man” by his friends and he led his team to win the district championship in his senior year. He made a total of 140 tackles as a senior and also got All-State and All-Area first team honors. 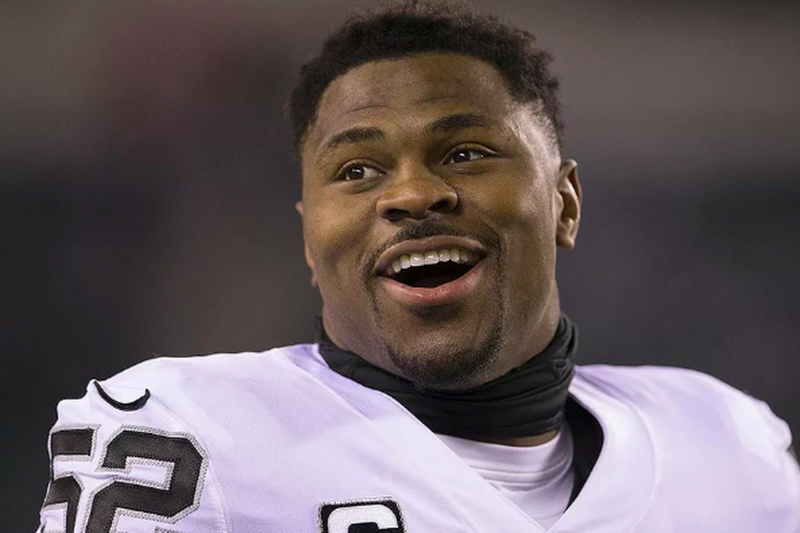 Soon after his graduation from high school, Khalil Mack enrolled at the State University of New York in Buffalo via an athletic scholarship. In his first year, Khalil got a redshirt and later joined the team in 2010. Throughout his college career, the star was among the team’s most productive players and was equally regarded as the Best Buffalo Player in the history of Division 1 football. Khalil had 68 tackles in 2010 and the following year, he recorded 64 tackles. As a junior in 2012, the star was able to set a new career-high with a total of 94 tackles. In his last college season in 2013, Khalil established himself as the league’s Defensive Player of the Year while making 100 tackles and three interceptions. Coming from a stellar college career season, Khalil Mack was among the highly rated prospects for the 2014 NFL draft. Eventually, he was the fifth player and first linebacker to make a team that year. He was chosen by the Oakland Raiders behind Jadeveon Clowney, Sammy Watkins, Greg Robinson, and Blake Bortles. Other notable players that made the draft include Allen Robinson, Derek Carr, Martavis Bryant, Aaron Donald, and Jimmy Garoppolo. The outstanding player completed four professional seasons with the Raiders before joining the Chicago Bears in 2018. Khalil’s four-year rookie deal with the Oakland Raiders elapsed in 2017; the team took a fifth-year option on the linebacker’s contract. He was later traded to the Chicago Bears in exchange for a first-round 2020 draft pick, 2019 24th overall pick, as well as future third and sixth-round selections. Soon after the trade, Khalil Mack penned a six-year contract worth $141 million with the Bears. The deal which guaranteed $90 million made Khalil the highest-paid defender in the league’s history. Amazingly, the linebacker is currently placed fourth on Forbes’ List of Highest-Paid NFL Players (2018). The Bears’ linebacker is a very tall dude with a wonderful personality. He has a masculine body and great physique. Mack has demonstrated great athletic ability, explosive power, and toughness which have really paid off in his flourishing career. He stands tall at 6 feet 3 inches with a commensurate bodyweight of 252 pounds (114 kg). In addition, Khalil has an arm length of 33 ¼ inches and a hand size of 10 ¼ inches.